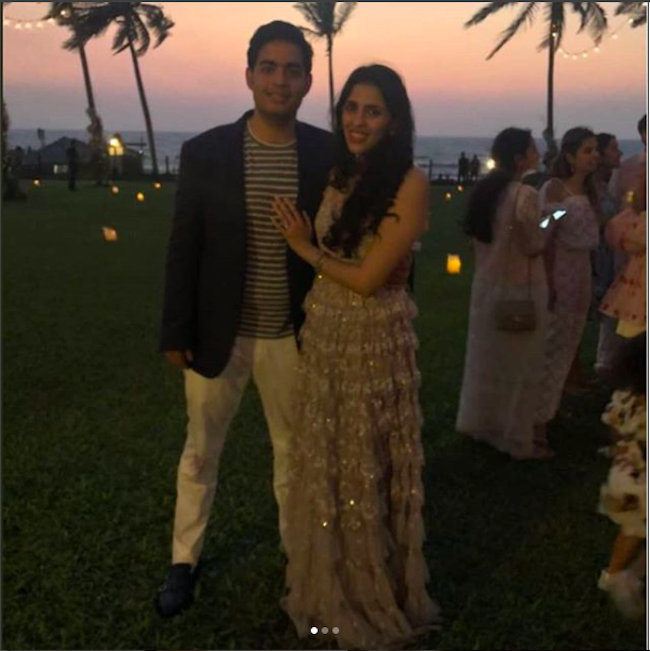 Akash Ambani, eldest son of Mukesh Ambani gets engaged to Shloka Mehta, daughter of Russell Mehta in a ceremony at Goa. See Pictures. 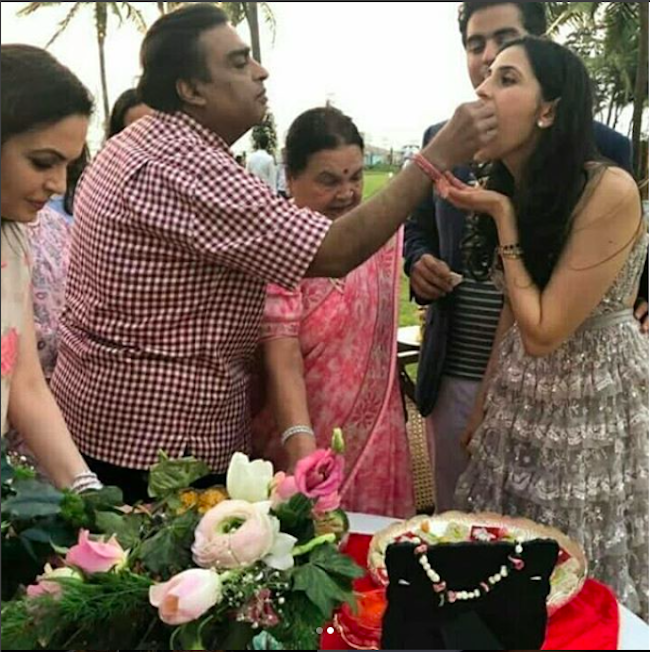 Akash Ambani, the eldest son Mukesh Ambani, Indian billionaire and also the chief of R.I.L. 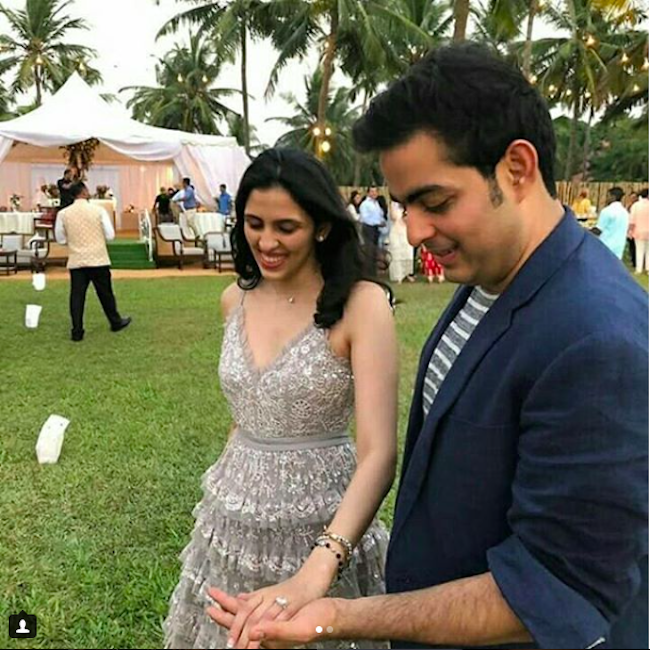 (Reliance Industries Limited) gets engaged to Shloka Mehta in a private ceremony in Goa. Wondering who Shloka Mehta is? 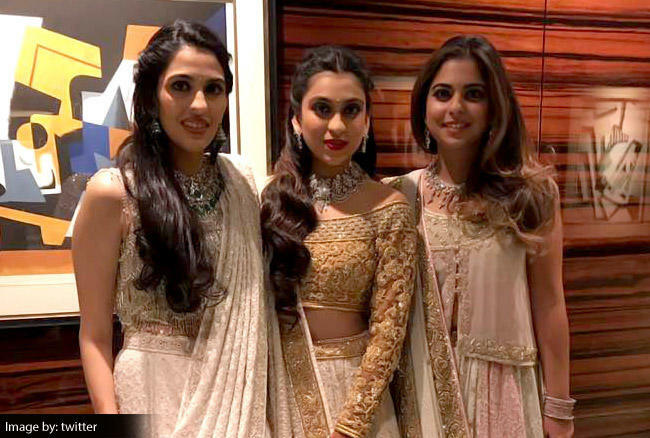 Shloka Mehta is the daughter of diamond magnate and M.D. Of the Rosy Blue empire, Russell Mehta. Previously popular by the name of B. Arunkumar & Co., Rosy Blue surely ranks among the top six diamond companies of India. According to internal sources, surprisingly, the proposal from Akash came to Shloka at a private ceremony in Goa on Saturday. According to reports, Akash (27) and Shloka studied together in Dhirubhai Ambani International School in Mumbai. The couple later went their separate ways where Akash completed his major in economics from Brown University, USA and Shloka did her Masters in Law at The London School of Economics and Political Science. Shloka, youngest of the three Mehta’s, is director of Rosy Blue Foundation and the co-founder of ConnectFor, an organization that matches volunteers with N.G.O. It’s that need them. Shloka’s elder sister Diya recently married business tycoon Amit Jaiya’s (of Hardcastle Restaurants) son Ayush Jatia. Meanwhile, Akash currently heads strategy at Jio, Reliance Industry’s 4G service provider. Steve Smith Ball Tampering Row: Complete Scenario Explained – Present And Future Consequences.